In his thesis, Ngene discusses solutions for the challenges of using complex hydrides for reversible hydrogen storage in hydrogen fuel cell vehicles and for stationary energy storage applications. The van Arkel prize is granted every two years to a young chemists that carried out high-quality scientific research that is of wide interest in the Inorganic -and Physical Chemistry. The prize consists of a charter and €2500. 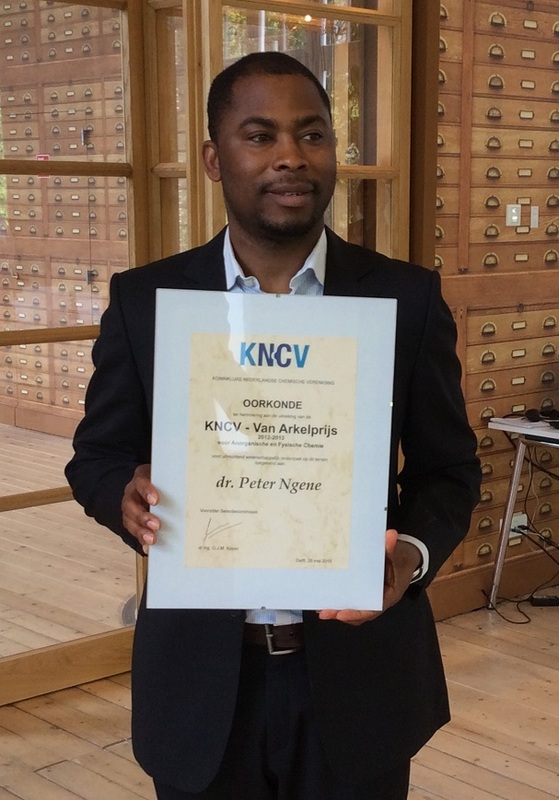 Read more about the Van Arkel Prize on the website of KNCV (Dutch).